THE AMOUNT OF money awarded in whiplash claims should be linked to the severity of the injury, the Personal Injuries Commission has recommended. The commission was set up following a recommendation from the working group on the rising cost of motor insurance premiums and is chaired by Mr Justice Nicholas Kearns. In its first report, which is due to be published in the coming days, it finds that the rise in insurance premiums are linked to the claims relating to soft tissue injuries following an accident, such as whiplash. A number of recommendations are made in the report, which include the adopting a standardised approach to the diagnosis, treatment and reporting of soft tissue injuries. It states the severity of injuries such as whiplash should be based on a gradient, depending on their severity. Compensation awarded in the courts should be linked to that gradient, finds the report. Such a change would improve the insurance environment in Ireland and prevent such high awards being given. Training and accreditation of doctors who complete personal injury medical reports should also be put in place, according to the report. The commission also recommends that such a gradient of injuries and the compensation linked to them should be included in future editions of the Book Of Quantum. The Book of Quantum is a guide published to inform payouts for injuries claims. Last year, the Injuries Board, the state body which addresses the bulk of personal injuries claims, announced a major revision to the book. 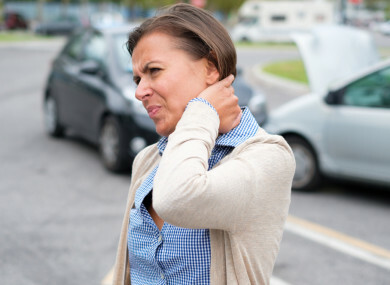 Email “Car insurance report: Payouts for whiplash must be linked to severity of the injury”. Feedback on “Car insurance report: Payouts for whiplash must be linked to severity of the injury”.